Elaine Miles is a ocean climatologist at the Bureau of Meteorology. She has a Bachelor of Science majoring in applied mathematics and mathematical physics with first class Honours in physics from the University of Melbourne. Her research looked at the application of optical methods to monitor the response of artwork to changes in the local climate. 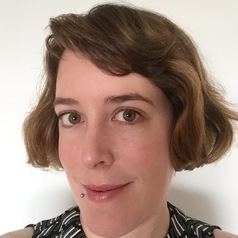 Since joining the Bureau in 2010 Elaine has worked in climate monitoring and prediction, with her work ranging from analysing seasonal prediction of sea level anomalies to assessing rainfall predictions using numerical weather prediction models. Elaine Miles is a Ocean Climatologist within Climate and Ocean Data and Analysis Services at the Australian Bureau of Meteorology. Climate and Ocean Data and Analysis Services are responsible for publishing and analysing the climate record, including the ocean, in particular to advise on risk and related requirements. In particular, the group works closely with stakeholders on advanced climate requests. The Bureau presently operates under the authority of the Meteorology Act 1955, which requires it to report on the state of the atmosphere and oceans in support of Australia's social, economic, cultural and environmental goals. Elaine Miles does not consult to, own shares in or receive funding from any company or organisation that would benefit from this article, and has no relevant affiliations.